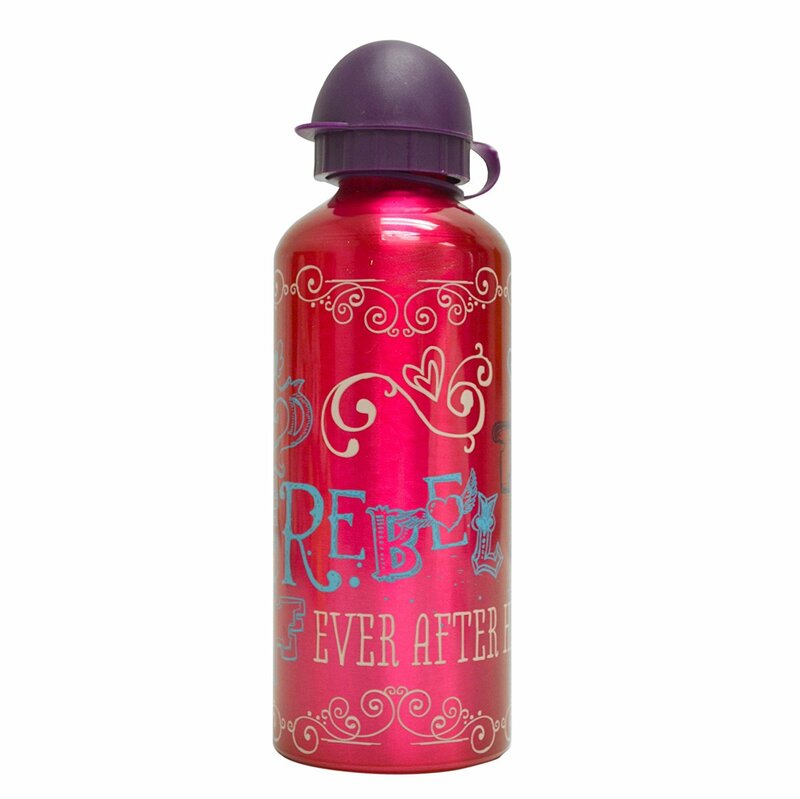 Ever After High Rebel Gorgeous Standard Designed Nice Color BPA-Free Aluminum Flip-Top Exclusive Kids Water Bottle. Ideal for the Ever After rebel fan comes this ultra-cool aluminum water bottle. Made of Aluminum. BPA Free. The Aluminum Bottle has Easy to use pull-top drink spout. The bottle is great to hold water or juice for School. Also, it has flip top lid to prevent spillages and make drinking even easier than it has been up till this point! Lightweight makes it easier for carrying. Very Exclusive combination of color makes it Eye Catching looks for kids. The perfect back to school choice for any Ever After High Rebel fan! Whether for day-to-day use, travel or to impress your friends at school, this water bottle makes for a perfect companion. The water bottle is perfect for kids with Durable construction. Great for lunches or as party favors!